Part Two: is there a doctor in the house? In the first of this two-part series (Incorporating Medi into Spas, Part One: the bad and the ugly, Spa Inc., Spring 2014), we evaluated the potential drawbacks of incorporating laser treatments into non-medical spas. In this second part, we will now examine the incorporation of injectible cosmetic treatments which have rapidly gained in popularity in the past few years. Unfortunately, these medical treatments are now being trivialized and are no longer conducted only in medical clinics but are offered in many spas and salons. It is regrettable that with the commoditization of these prescription drugs and without the proper enforcement of regulations, the risks of these treatments will certainly increase. Furthermore, the public no longer perceives the risk of these medical treatments as potentially serious and have lost their “healthy fear.” Hence, they are no longer doing their due diligence to educate themselves prior to having cosmetic injections. Recklessly, they are ignoring the potential risks involved, preferring to chase a deal or just go to a place which is more convenient. They may also rely on a friend’s referral alone as adequate assurance of a quality treatment. What are Common Injectible Aesthetic Treatments? The most common injectible cosmetic treatment in Canada is Botox Cosmetic. There are other brands of neurotoxins available in Canada now, namely Dysport and Xeomin. Throughout the rest of the article, the word “botox” will be used when discussing the neurotoxins. Botox is used cosmetically to relax facial muscles and Health Canada approved uses include treatment of frown lines between the brows, horizontal forehead lines and crow’s feet around the eyes. Clients enjoy the results of a more relaxed, well-rested appearance with relaxation of the dynamic muscles treated. It is also beneficial for preventing the development of lines and wrinkles in treated areas. The next most common type of injectible treatment is hyaluronic acid (HLA) dermal fillers. This article will only discuss temporary HLA fillers as they are the most widely used. There are many different brands available such as Juvederm, Voluma, Restylane, Perlane, Teosyal, etc. Dermal fillers are used to fill lost volume, often resulting in a lifting effect when used in the cheeks. It can augment and enhance tissues such as in the lips. Static lines and wrinkles, both superficial and deep, can also be softened with these fillers. Nasolabial lines, marionette lines, and laugh lines are common areas to fill. What are the Benefits of Offering Injectible Treatments at Spas? Injectible treatments are in high demand and likely many existing spa clients are having these treatments done or are considering them. It is convenient and comfortable for existing clients, who have already developed a trust in their service provider, to broach this sensitive subject and then to get more information from the spa. They may even feel comfortable enough to have a treatment done at the spa given the proper recommendation. Why is it Imperative to Achieve High Client Satisfaction with Injectible Treatments? If you do not have the best injectors or injectible products, you will not be providing the best service to your clients. Although your original spa services may maintain their top quality, the reputation of your spa may suffer as a consequence of the new services if they do not meet or exceed industry standards. You need to ask yourself, “is it truly worth it?” High client demands and expectations with injectible treatments are universal. If your existing clients express dissatisfaction with medical treatments in your spa, you must decide if you are adequately meeting the needs of this discerning clientele. What are the Risks of Injectible Treatments? Injectible treatments such as botox and fillers can lead to significant side effects and complications. Over-treating or under-treating with botox or other neuromodulators in certain areas can create unpleasant aesthetic results and an unhappy client. Hyper or hypo-activity of muscles can give an unnatural appearance (eg. “Spock brows,” dropped heavy brows, or heavy eyelids called ptosis). There are also rare complications to consider with neuromodulators, such as impairment of swallowing, respiratory compromise and even death. Complications with dermal fillers range from mild to severe. Mild problems include bruising, swelling, pain, under-filling, over-filling, and temporary lumps. Inaccurate depth of injections can create discolouration of the tissue. Even with temporary fillers, the permanency and the severity of complications can be high and sometimes even devastating. Significant complications with fillers include: granulomas, infection, necrosis (death of the tissue), permanent scarring and blindness. Of note, there have been dozens of cases of blindness due to vascular occlusion recently and the numbers are on the rise. It is imperative that the injector be able to recognize and treat complications immediately to alleviate patient distress and to minimize negative outcomes. Most of the remedies available to treat complications are prescription drugs and require physician evaluation and diagnosis prior to treatment. What Are The Costs of Incorporating Injectible Treatments? Product cost is high, in addition to the cost of the physician and possibly also a nurse injector. In general, the more experienced and qualified the injector, the higher their rate. Pay structure for injectors vary widely. In considering an appropriate pay structure, the spa must first know the rules and regulations to allow for adequate insurance coverage and accountability. In Ontario, for example, a responsible physician who has established a physician-patient relationship is mandatory in this equation even if that physician is not the injector. Often times, this crucial requirement is consciously being omitted by spas as a means of cutting costs. You cannot hire a “contract nurse” to assess and inject clients at a spa without the patient first seeing a physician. This is illegal. You don’t want to have to add legal bills into your cost assessment. What are the Rules and Regulations of Injectible Treatments? In Canada, rules and regulations regarding medical aesthetic devices, drugs, and procedures are in place but are seldom being enforced within the cosmetic industry. This laxity may change in the future and should not influence a spa to “turn a blind eye” in order to save on cost. Injectible medications such as Botox Cosmetic, Dysport, and Xeomin as well as topical treatments such as Latisse (for eyelashes) are prescription drugs. Prescribing drugs is a Controlled Act as set out in the Regulated Health Professions Act, 1991 and is also governed by a complex legislative framework. Each province has its own set of regulations. Dermal fillers are not prescription drugs but are usually sold to physicians only and are regulated as medical devices. Unbelievably, some physicians are actually selling injectible products such as botox and dermal fillers to others, such as nurses or spas, but the physicians are not seeing the patient or taking responsibility for the patient. Selling these products to another person to use elsewhere is against the regulations of the College of Physicians and Surgeons of Ontario. Who Can Perform Cosmetic Injections? What is Delegation? There are several conditions that must be met prior to delegation of a Controlled Act. The physician must be satisfied that the individual to whom the act will be delegated has the appropriate knowledge, skill and judgement to perform the delegated act. A physician must not delegate the performance of an act that he or she is not competent to perform personally. Physicians must ensure that any adverse events that occur will be managed appropriately, either by the delegate or by the delegating physician and the physician must be informed of any actions taken to manage the adverse event. Furthermore, prior to delegating an act, the physician should have already established a physician-patient relationship, i.e. the physician has interviewed the patient, performed an appropriate assessment, made recommendations, obtained an informed consent to proceed, and ordered a course of therapy. At present, it seems that some physicians are establishing this physician-patient relationship via Skype or other means of remote video conferencing and they are not actually physically present. It remains to be seen if this is an acceptable practice as it is not addressed by the College of Physicians and Surgeons of Ontario, in Policy Statement #5-12, Delegation of Controlled Acts. In Ontario, the College of Nurses practice standards state that a general class registered nurse cannot diagnose a disease or disorder or prescribe drugs. He/she cannot administer a drug, such as botox, by injection, without a physician’s order. The responsibility for a delegated Controlled Act always remains with the delegating physician. What Should a Spa Know About Liability of Medical Spa Treatments? Liability is a huge issue and one that a spa should consider before getting involved with medical treatments. Each practicing physician has the option of buying their own insurance. In Canada, that is usually from the CMPA (Canadian Medical Protective Association). That insurance covers the physician and his/her own employees only, based on certain strict qualifications. The physician must be approved by the CMPA in writing to be able to conduct these treatments under their scope of practice. The spa and its employees or contract workers (including contract nurses) are not covered by the physician’s insurance unless the spa is owned by that physician and he/she regularly does clinical professional work at that spa/clinic (CMPA Assistance to Clinics and Facilities: General Principles, 2008). If there is a nurse injector, the spa and nurse therefore need to check with their own insurance providers and with their provincial College of Nurses to ensure they have adequate coverage before initiating any injectible treatments. What Should a Spa Check Prior to Incorporating a Doctor or Nurse? At minimum, the spa should check the credentialing of the doctor and/or nurse with their respective professional college. It is simple to check their valid registration online as this information is readily available to the public. For example, in Ontario, all valid physician registrations are listed on the College of Physicians and Surgeons of Ontario website at www.CPSO.ca and all nurses’ registrations are available on the College of Nurses of Ontario website at www.CNO.org. As previously mentioned, another priority is to ensure that all parties have adequate insurance coverage. Perhaps it may be just as valuable to you and your clients to have them referred to a qualified medical spa for their treatments instead of providing these medical treatments in your existing spa. You can develop a trusting, mutually beneficial relationship with a local physician who will see and treat your clients under optimal medical conditions. They will take full responsibility of the treatments without involving your spa in all the potential risks. Having a meeting with the physician prior to referring your clients may enhance the working relationship. That physician will then be aware of the services that you provide and ensure your client will follow up with you to continue their aesthetic program after they have their injectible treatments. Your clients will likely respect that you have made a well-informed referral and trust your advice. In summary, there are many factors to consider prior to incorporating medical cosmetic, injectible treatments into a spa. Risk and liability, and rules and regulations, should be assessed as well as the long-term implications to the rest of the spa. Educating yourself and developing a trusting working relationship with an experienced, qualified physician are the best starting points in this endeavour. 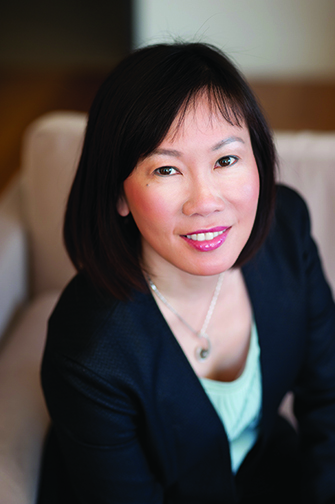 Dr. Diane Wong, MD, is a cosmetic physician, and owner and founder of Glow Medi Spa in Toronto. Her focus is on non-surgical cosmetic treatments and enhancements such as cosmetic injections, lasers, and skin treatments.